Need A Server Station? We Can Help. Find out if computer networking services are right for your Spartanburg, SC business. Whether your desktop is lagging or your laptop suddenly stopped charging, Computer Trends can help. Bring your computer to us right away to get rid of a virus before it destroys your data. Don’t lose your computer’s data. Learn about our recovery and backup services now. Whether you need it for business or personal use, your computer is an integral part of your life. You store your private information, business documents and photos on it. 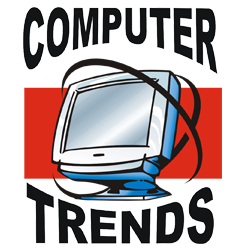 If your computer breaks down, visit Computer Trends right away. We offer a variety of computer services in Spartanburg, SC and beyond. We can do everything, from setting up a server station to repairing your laptop. Call 864-582-2021 today to learn more about our computer networking. We serve Spartanburg, SC and all surrounding areas, including Boiling Springs and Glendale.